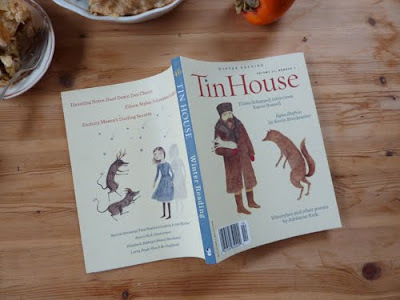 I couldn't be more thrilled to have a drawing of mine on the front, and back, covers of Tin House Magazine! This year I'm soo thankful that great work keeps coming my way! 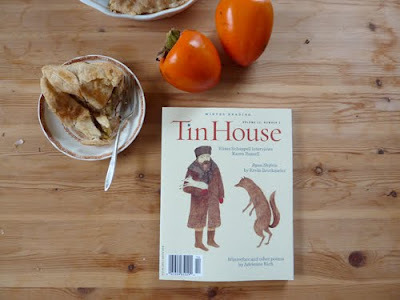 Tin House is such a great literary magazine. My husband has been in it and a few of our friends. The cover and back look great! Congratulations! Your illustrations look great. Oh congratulations! Your work is lovely and whimsical and graces that cover wonderfully! I wanted to stop by and invite you to enter my first ever giveaway...I'm celebrating a hundred followers! i love your little drawings. congrats. I spied those at the Lloyd Center B&N the other day, and I was so happy! It's really a lovely cover, Miss Julianna.